Drought-tolerant species from steppes, prairies and grassy plains. The Dry Meadow features drought-tolerant species from steppes, prairies and grassy plains from all over the world, but also includes temperate species which withstand periods of summer drought. Many of the plantings were established from a seed mix which was directly sown in-situ over a base layer of sand to porvide a free-draining base for plant establishment. 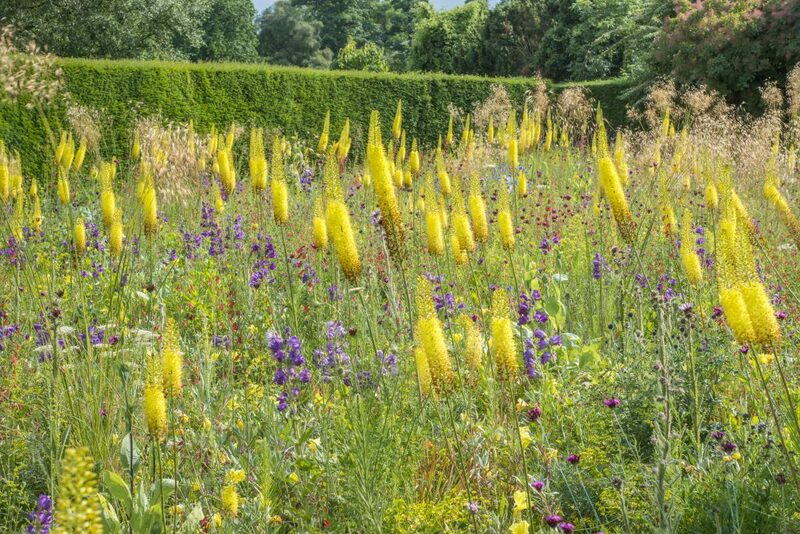 Species such as the giant oat (Stipa gigantea) and foxtail lily (Eremurus stenophyllus) were planted into this seed mix. The species selected were chosen to suit the Cambridge climate and conditions and include Eurasian Primula veris (cowslip) and Origanum vulgare (oregano), along with semi-parasitic Castilleja integra and Oenothera macrocarpa ssp. 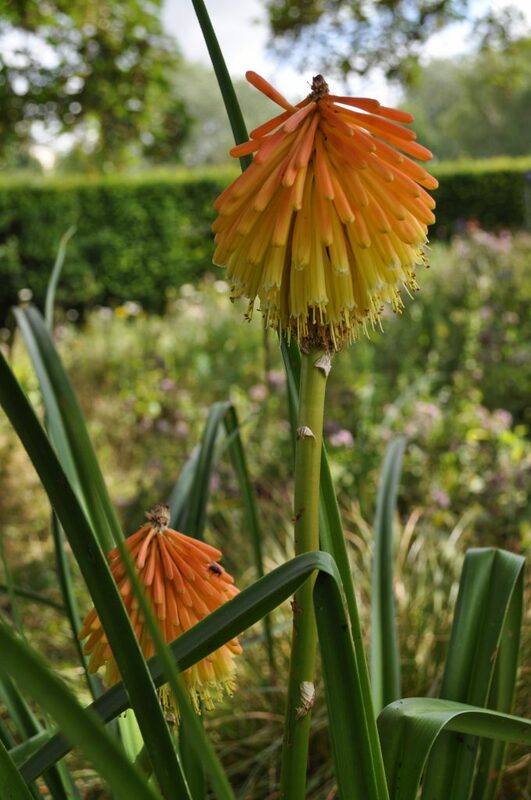 incana from the Americas, and Kniphofia uvaria and Berkheya purpurea ‘Silver Spikes’ from South Africa. 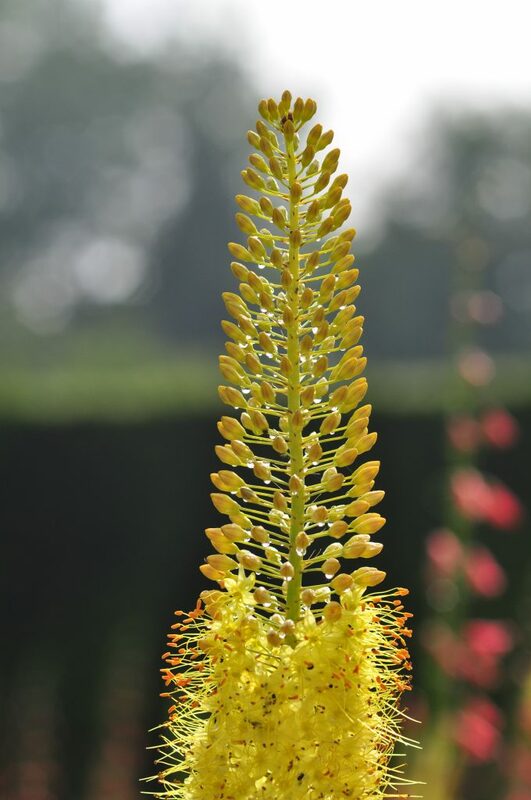 The effect is a soft, naturalistic planting which provides flower from spring through to autumn. 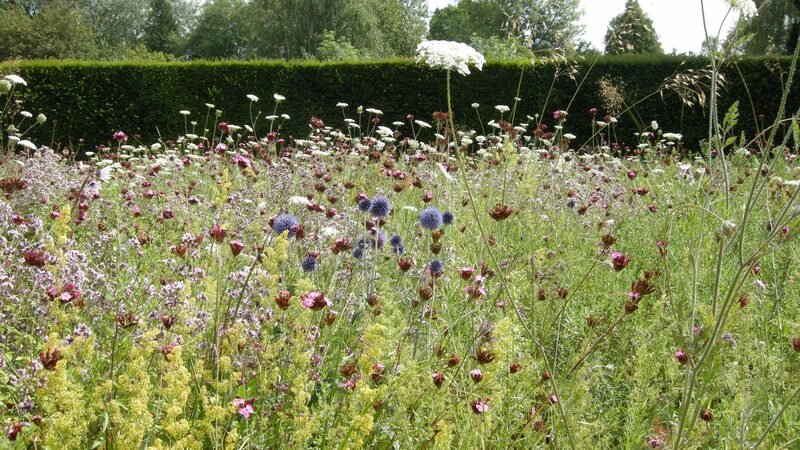 The meadow was designed by James Hitchmough of Sheffield University who also designed the natural wildflower meadows at the Olympic Park, and the climate change meadow at the University of Oxford Botanic Garden, among others.